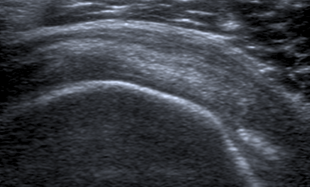 Ultrasound is the highest resolution test available in musculoskeletal radiology, and that includes MRI scans. It allows us to move structures whilst scanning (e.g. tendons and muscles), to compare both sides for subtle differences, to perform guided treatments, and to discuss your symptoms. 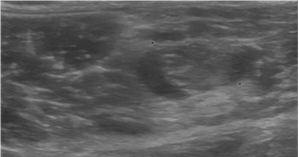 We specialise in this type of ultrasound, which includes assessment of tendons, ligaments, muscles, hernias, nerves, bursae, joints, collections, haematomas, and lumps & bumps. We also perform guided injections into joints, bursae, tendon sheaths, and around nerves. Additional treatments include hydrodilatation for frozen shoulder treatment, high volume injections for tendinosis, Ostenil Plus injections, occipital nerve block, & nerve compression syndromes. Pancreas, liver, spleen, kidneys, bladder, gallbladder, gallstones, and the biliary ducts. We can also screen for aortic abdominal aneurysms, and may be able come to you if required. Specialised obstetric or gynaecological ultrasound (including baby scans). For assessment of thyroid nodules. We can also check the salivary glands, and for lumps and bumps including lymph nodes. We do not have equipment available for fine needle aspiration (FNA) of thyroid nodules, salivary gland lumps or lymph nodes. For assessment of the testes and scrotum. We will often check for hernias, groin strains and sportsman's hernia at the same time. We also check for benign extra-testicular lumps and swellings, (which are very low risk), and include: epididymal cysts, spermatoceles, varicoceles, hydroceles, haematoceles, scrotal stones (pearls), sperm granulomas, fibrous pseudotumours, lipomas, adenomatoid tumours, and hernias. For assessment of DVT in the arms and legs. Lumps and bumps, collections and bursitis. Baker's cyst behind the knee. Thrombus in superficial veins (thrombophlebitis). 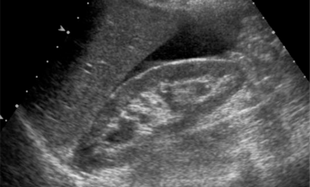 The era of modern ultrasound advanced rapidly due to World War I and the sinking of the Titanic. In 1914 it was used to detect submarines and icebergs, and then RADAR was developed just before World War II. In the 1940s, ultrasound was used to detect metal fatigue. Then over the next 20 years, various medical uses were described involving imaging of the brain, gall bladder, heart, and in obstetrics and gynaecology. It was also used to treat rheumatoid arthritis and sports injuries. The biggest benefit was for pregnant women so a foetus could be checked for abnormalities, as other types of scans were too risky because of radiation. The first handheld ultrasound scanner was introduced in 1963. 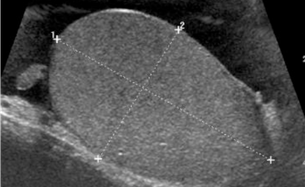 Over the next 40 years the quality and speed of ultrasound scanning was improved, allowing higher resolution to depths of 20 cm. More recently portable ultrasound machines have become available, as well as 3D sonography used mostly to visualize foetuses in the womb. Pythagoras developed the Sonometer, which measured musical sounds and the frequency of a tuning fork. In 1794, bats were shown to use sound waves for spatial orientation. In 1826, sound was shown to travel faster through water than air, using a church bell rung underwater at Lake Geneva. In 1842, the Doppler effect proposed that the frequency of sound waves depended on the speed of the source (think of ambulance sirens). Ultrasound is too high frequency for humans to hear, but dogs and cats can hear them. In the 1950s, patients had to be completely submerged in water during a scan. Now, one of the smallest ultrasound transducers can fit into a blood vessel. There are many non-medical uses including testing for metal fatigue, and cleaning jewellery, lenses and watches.